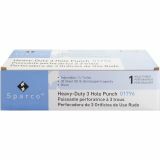 Sparco Heavy-Duty Three-Hole Punch - Heavy-Duty Punch drills through up to 30 sheets of 20 lb. 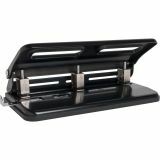 paper at a time with two or three holes. 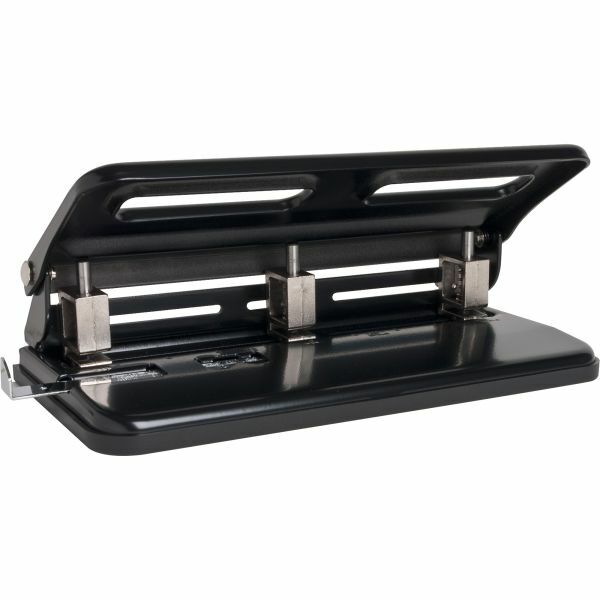 Features three adjustable punch heads, centering guide, a removable chip tray and all-steel construction. Punch head measures 9/32".